As a continuation/mutation on the scissors theme, I decided before making any compositional processes that I would use 1/4" reel to reel tape and a razor blade as a fundamental medium. 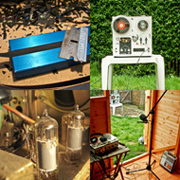 I had a few audio files from Pierre which were short but had a common key, so I realised a good place to start would be to create tape loops using Pierre's samples, a razor blade, a splicing block, a chinagraph pencil and some splicing tape. 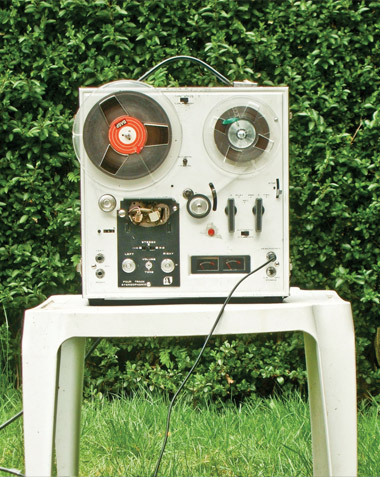 My main machine for playing the tape loops was an Akai valve reel to reel recorder. I have a reel of tape in my collection which has passed its sell by date by a long shot, the magnetic oxide flakes off with very little friction. The idea of using tape loops which physically deteriorate is obviously associated with William Basinski and his 'Disintegration Loops'. I didn't want to avoid this fascinating process for the sake of avoiding any artistic mimicry, so I thought of other ways to incorporate the ideas of decay into my piece. I reversed Pierre's samples before transferring them to tape, so when a tape loop was formed, the audio would be reversed and then as the loop played and the result recorded back into the computer, the loop would crumble and decay. Then when several minutes of decaying audio was recorded onto the computer, I would then reverse the whole recording to render Pierre's sample 'forwards' again, but now the decaying or 'disintegration' process has been reversed. There are two main loops in the piece which use this method, both are made of Pierre's samples. They start off as sparse, broken and crumbled fragments and then eventually build and replenish to become more complete and recognizable, the process is very organic sounding. The tape loops then became the backbone of the piece, they determined the key and mood, the meter is loose and vague however. My next step was to continue with the decay theme but this time using my favourite vintage digital delay pedal. The pedal allows a 4 second delay which can be set to decay over a fairly long period of time. I used the pedal in this piece to create a continuous electric guitar improvisation. Using the tape loops of Pierre's samples as a 'drone' to follow, I improvised sparsely, building up more intricate cyclic patterns note by note. 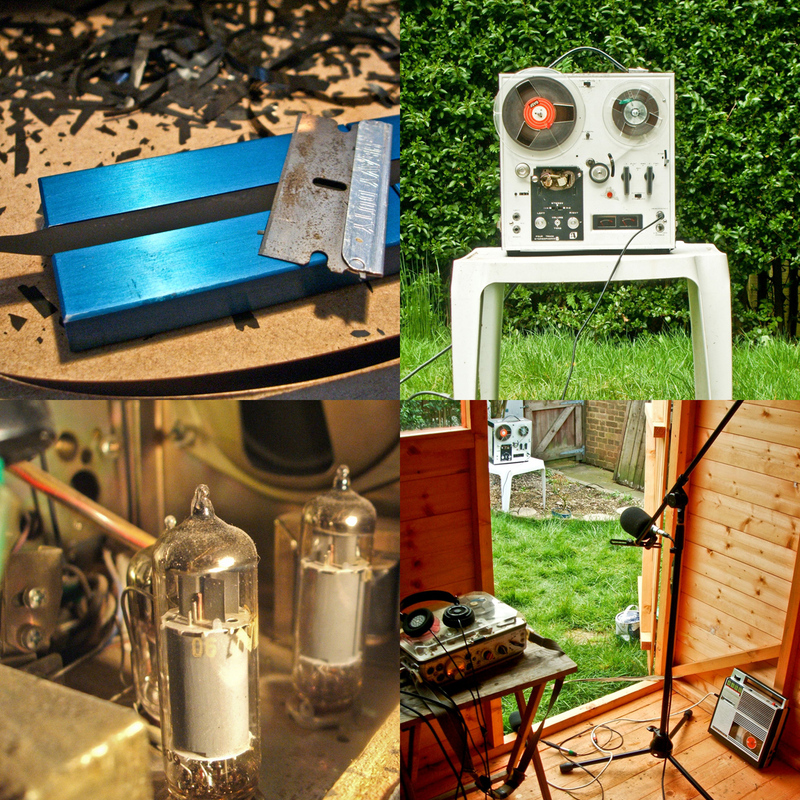 As the pedal loops, notes crumble and fade into the distance, and new notes are constantly being added, so the building and the decaying is a seamless process which is complemented by the reversed decaying of the tape loops. 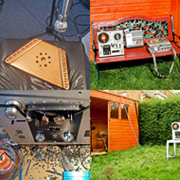 Other sound sources in the piece include a small Romanian melody harp and location recordings. The guitar improvisation was also captured to reel to reel tape, and then played back out of the internal speakers of the Akai machine and captured both directly from a line out and with a microphone. 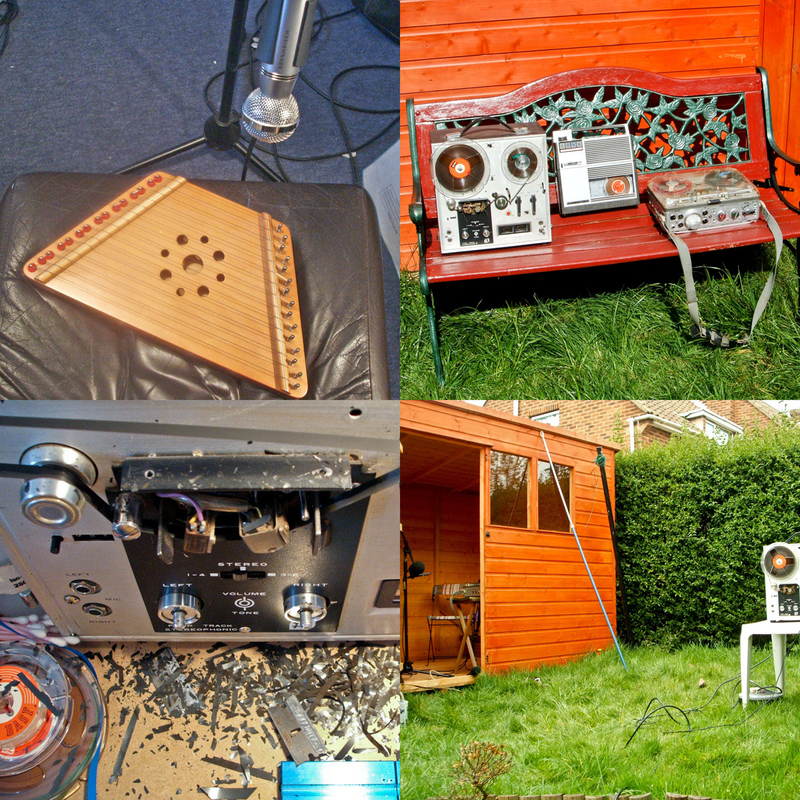 To get away from the confines of my studio and to exploit the drama of spring, I took various machines into my garden to recapture the recorded improvisation in a real environment. My set up was surrounded by hedges where birds and insects go about their daily lives, contributing to cycles of birth and decay. Bibio is the recording name of the British music producer Stephen Wilkinson who hails from an area in central England often referred to as the Black Country. His musical identity was christened in honor of a fly his father had insisted on using during the fishing trips to Wales that were so influential in establishing his love of the sounds of nature. Focusing on location recording using cassettes, a half-broken sampler, dictaphones, and experimental ways of affecting sounds, Bibio has crafted a unequalled style that is as subtle as it is powerful. Bibio is on Warp records (UK) but has three previous albums out on Mush Records (USA).